This powerful audio meditation will dramatically boost your ability to attract a consist flow of financial abundance to you. Thanks to this meditation, you’ll reprogram your mind with a powerful set of 38 money mantras that are proven to dramatically boost your ability to attract wealth into your bank account! Each time you use this meditation, your mind, body and spirit will feel reborn with a new feeling of abundance consciousness. You’re about to experience a guided manifestation money meditation that will dramatically boost your ability to attract financial abundance to you. If you are sincere about creating wealth in your life, it is important to create a daily routine that shifts your consciousness to thinking positively about manifesting money. The daily use of manifesting money mantras will replace any fear based thinking with a truly deep and powerful subconscious connection to your natural state of abundance. Hearing and repeating these mantras will enable the higher abundance vibrations in these powerful words to sink to the deepest places in your subconscious mind. Our subconscious mind is one of the most powerful tools we have. It is like a garden. If we fertilize, water, and plant the right seeds in our garden, it will bear the greatest harvest of the year. By consistently planting positive abundance thoughts in your innermost mind, you will naturally be creating prosperity. Your thoughts create your world. Your ability to manifest wealth and success each day depends on the extent to which you can think and feel abundantly. Reprogramming your mind and spirit with a new abundance consciousness. A deep knowing that you are an infinite being that can manifest what ever your heart desires. Fast and profound positive changes in your financial life. Feeling and knowing that you are already on the path to financial success. 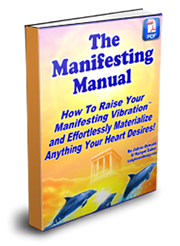 You will receive 38 life transforming Money Mantras that will re-connect with your natural state of prosperity consciousness. Each time you do this meditation you will create deeper feelings and thoughts of financial abundance, wealth, and freedom! This experience will help you to dive deeper inside yourself and discover your true unlimited potentiality. Soon you will know in your heart that whatever you ask for in your life, can and will be yours! I am a powerful being who can manifest any amount of money. I can generate an abundance of money doing exactly what I love doing. Divine abundance is my natural state of being. A guided meditation that leads you through a powerful set of 38 money mantras that are proven to dramatically boost your ability to attract wealth to you. A deeper trust and belief in your ability to manifest money. The empowered feeling state behind each of these manifesting mantras. 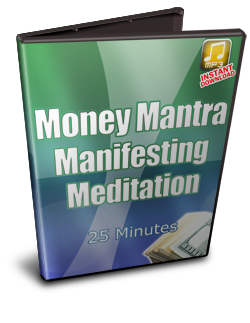 Instantly Download The Money Mantra Manifesting Meditation Now!